The pressure on the government to generate increased tax revenues has been well publicised in recent years. As a consequence, the number of tax enquiries undertaken by HMRC has increased significantly. Any taxpayer can be targeted by HMRC to check that they are paying the right amount of tax – answering these enquiries takes time and they can often drag on for months. It can cost thousands of pounds to defend you, whatever the result. It is as important as ever for you to protect yourself against such costs. To maintain your peace of mind, we offer a Tax Enquiry Fee Protection Service. 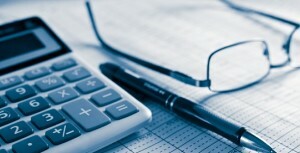 This service is backed by an insurance policy under which we can claim the costs of defending clients in tax enquiries. Clients who subscribe to the service are also able to obtain advice free of charge around the complex areas of Health & Safety and Employment Law.